Ecological Inheritance and Cultural Inheritance: What Are They and How Do They Differ? 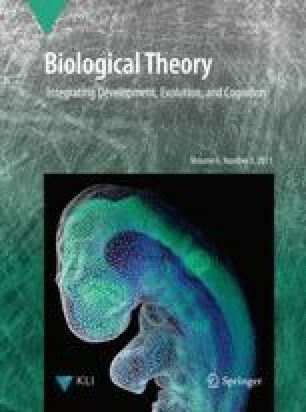 Niche construction theory (NCT) is distinctive for being explicit in recognizing environmental modification by organisms—niche construction—and its legacy—ecological inheritance—to be evolutionary processes in their own right. Humans are widely regarded as champion niche constructors, largely as a direct result of our capacity for the cultural transmission of knowledge and its expression in human behavior, engineering, and technology. This raises the question of how human ecological inheritance relates to human cultural inheritance. If NCT is to provide a conceptual framework for the human sciences, then it is important that the relationship between these two legacies is clear. We suggest that cultural processes and cultural inheritance can be viewed as the primary means by which humans engage in the universal process of niche construction. We thank Mike O’Brien and Kim Cuddington for helpful comments on an earlier draft of this manuscript. Our research was supported in part by an ERC Advanced grant to KNL.